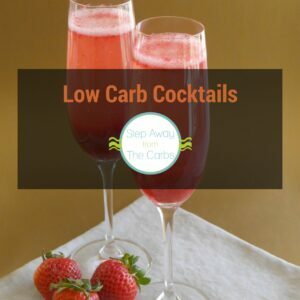 This low carb egg nog is a sugar free and keto version of the classic winter cocktail! Disclosure: I was provided with this KetoseSweet from Steviva free of charge in exchange for my fair and honest review. Please see my disclosure policy. This post also contains affiliate links, which means that at no extra cost to you I can make a tiny bit of money to help support this blog. Thank you! 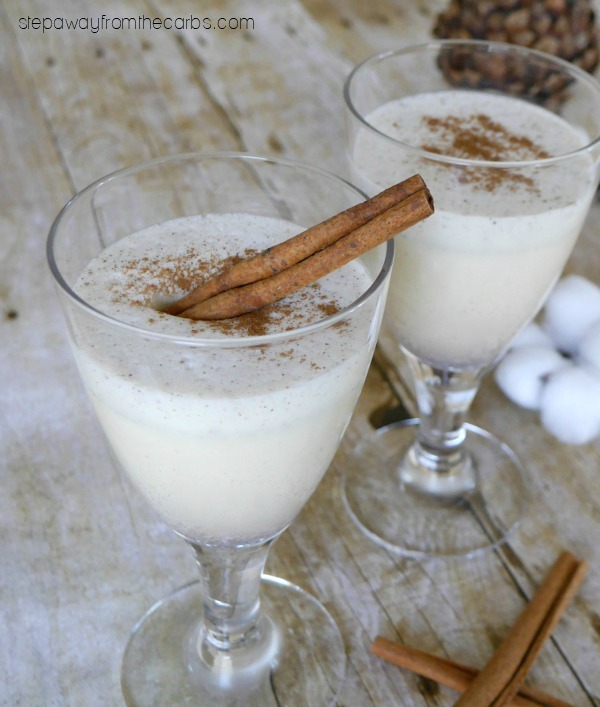 Egg nog:- the classic winter drink made from whipped eggs, milk, cream, cinnamon, vanilla and nutmeg. And of course, you can also give it a little alcoholic kick! 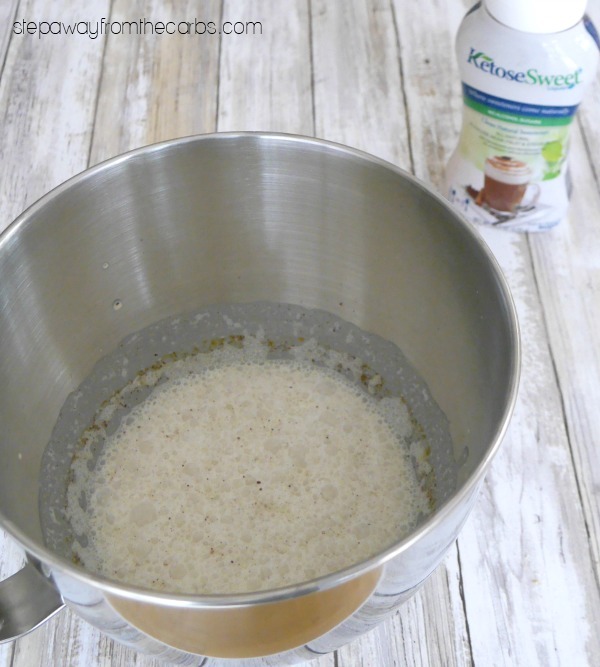 Making a low carb egg nog only required a few changes from the traditional recipe: unsweetened almond milk instead of regular milk, and a low carb sweetener instead of sugar. Please note that this recipe contains raw eggs. I’ve seen some variations where the egg yolks are cooked with the milk to form a custard base for the drink, which reduces the potential hazard from raw eggs. But this version is raw, so please be aware of the risks. 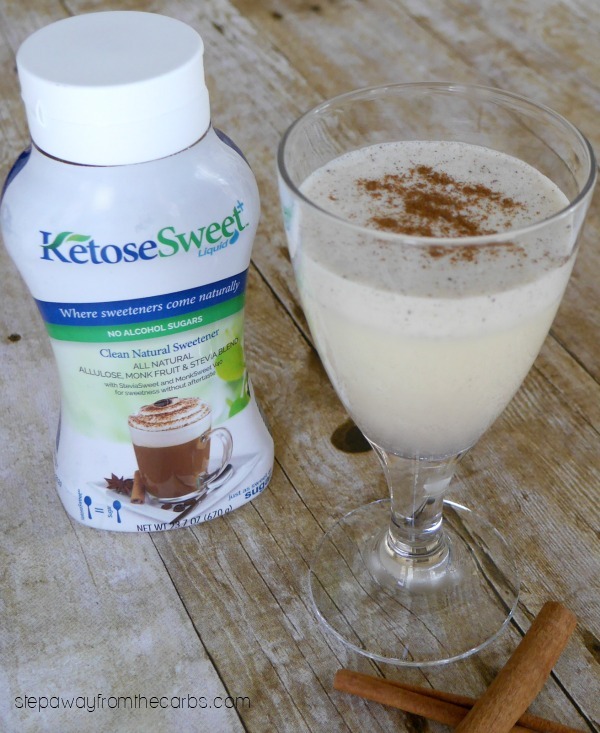 For the sweetener I decided to try out KetoseSweet from Steviva – it’s a liquid blend of allulose, monk fruit and stevia – so no sugar alcohols! So what is ALLULOSE?!? It’s a rare natural sugar found in maple syrup, figs, and raisins. Although a form of sugar and will count as a carbohydrate on food and beverage labels, allulose is not recognized by the body as a carb, does not raise blood sugar levels, and is not metabolized as energy. It’s rather similar in confusing-carb terms to Tagatose, which I used in my Marshmallow Fluff recipe. April 2019 UPDATE: The FDA has just released guidelines that companies no longer need to report the sugars, and can be shown as zero! It is available in both granular and liquid form – but the liquid form is perfect for this no-cook recipe as it dissolves easily into hot or cold liquids. Actually, on the bottle’s label it says that you can use it just as you would a simple syrup – and that’s what gave me the idea for using it in a cocktail! To make the low carb egg nog, whisk some egg yolks in a stand mixer until they start to lighten in color. Add in heavy cream, unsweetened almond milk, alcohol (eg rum, brandy or bourbon), vanilla extract, ground cinnamon and ground nutmeg. Beat a few times to combine the ingredients. 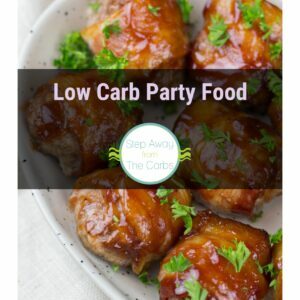 Test for sweetness, adding a little of the KetoseSweet at a time, stirring, then taste testing – everyone has different preferences. 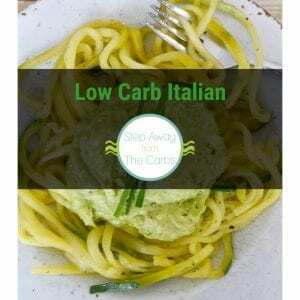 The liquid sweetener is PERFECT for this no-cook recipe! 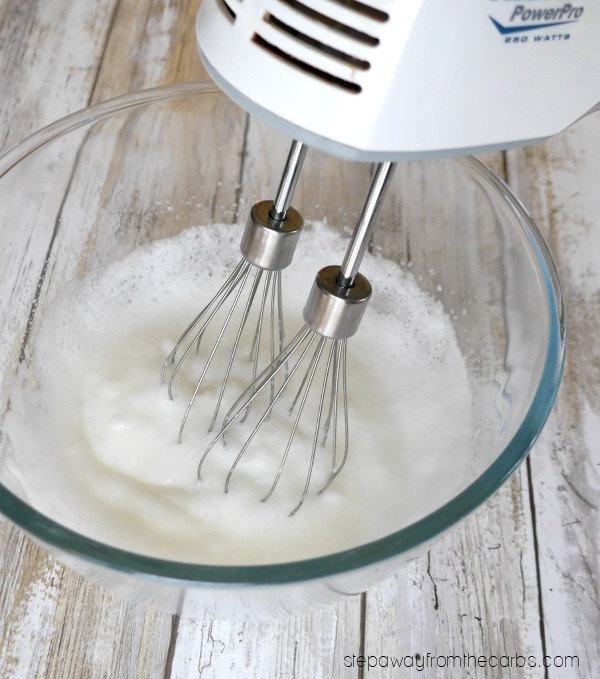 In a separate stand mixer bowl (or, like me, use a regular bowl with a hand mixer), whisk the egg whites until soft peaks form. Carefully fold the egg whites into the egg yolk mixture. Transfer it to a jug, cover, and leave in the fridge overnight. When you’re ready to serve, stir well, then divide the recipe between glasses. Sprinkle a little ground cinnamon over the drink and enjoy! 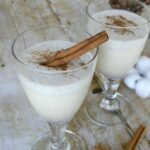 This low carb egg nog is a sugar free and keto version of the classic winter drink! Whisk the egg yolks in a stand mixer until they start to lighten in color. Add in heavy cream, unsweetened almond milk, alcohol (if using), vanilla extract, ground cinnamon and ground nutmeg. Beat a few times to combine the ingredients. Test for sweetness, adding a little of the KetoseSweet at a time, stirring, then taste testing. In a separate bowl, whisk the egg whites until soft peaks form. Carefully fold the egg whites into the egg yolk mixture. Transfer it to a jug, cover, and leave in the fridge overnight. When you're ready to serve, stir well, then divide the recipe between glasses. Sprinkle a little ground cinnamon over the drink and enjoy! This recipe makes about two cups of egg nog. Find out more about KetoSweet and Steviva by following them on Facebook, Twitter, Instagram, or Pinterest! Why do you leave it overnight, please? It’s the traditional way to make it so that the flavors all marry together. I guess if you can’t wait you could just drink it right away! 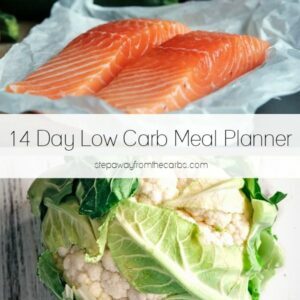 How can this be 4 g. Carbs when 1 c. HWC has 11 carbs? 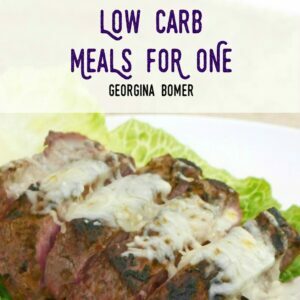 Heavy cream contains 6.6g carbs per cup, and this recipe serves two, so it all works out! Please see links below for nutritional data on cream!